This firm is lead by visionaries who are intent on helping their clients see a better tomorrow through the tools that it has on offer. Clients who have relied upon Huemor Designs include Live Nation, American Crew and NBCSN. 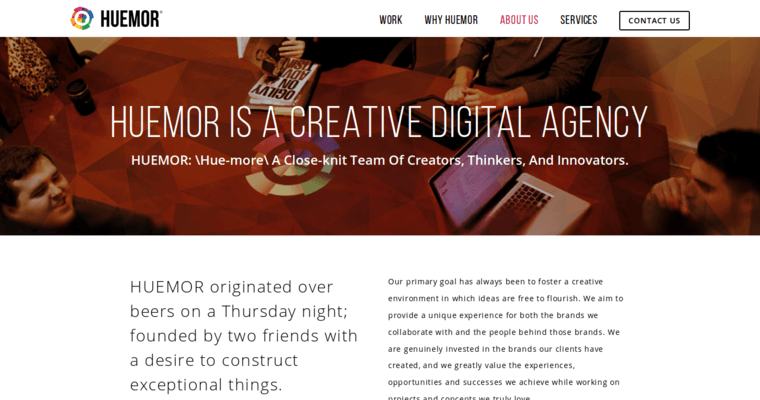 The services that Huemor Designs offers exemplify those of a modern digital agency. With strategy & planning, web development, creative & design, SEO and other critical offerings available to its clients, Huemor is a good name to have in one's contact file. By allowing clients to get a wide range of digital services under one service provider, Huemor Designs makes itself very attractive to its prospects.